This alluring beauty hails from the mysterious East and uses her magical fan to command the divine winds. Though many have tried to court her, there is only one whom she truly loves. In battle, Diao Chan harnesses the power of the wind to unleash devastating attacks on enemy forces. She can also use her fan to restore her allies' health. In the struggle to help the one she loves, there's nothing Diao Chan won't do. Diao Chan uses the power of her allure to stun targets and deal Storm DMG. 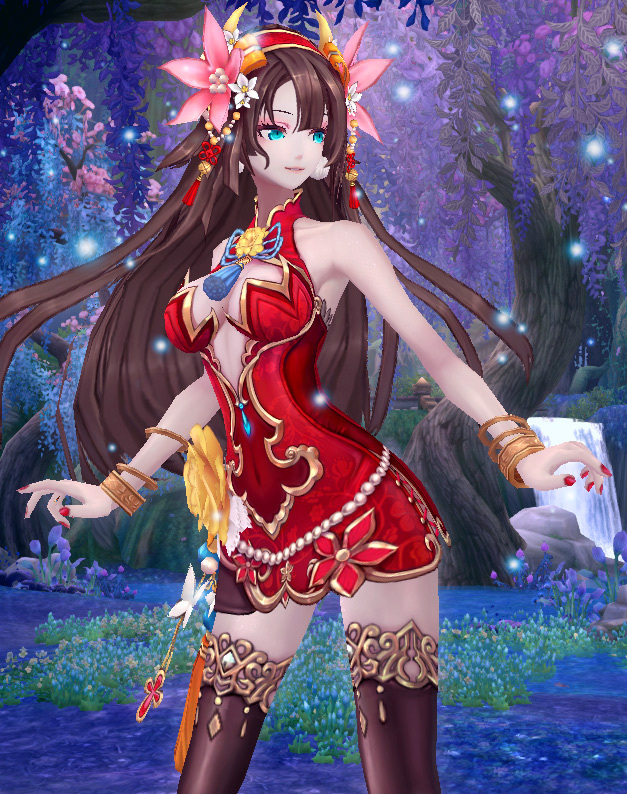 Diao Chan's graceful movements restore nearby party members' HP and give them a chance of dealing combo attacks. Diao Chan condenses the power of the wind into a sphere that deals Storm DMG and DoT to nearby enemies.